Harcourts Packham aren't just skilled real estate professionals; they are real people, living locally, just like you. As multiple award recipients, you can trust that you are engaging proven performers. We will listen to your ideas and empower you to achieve great results with knowledgeable advice and brilliant marketing platforms. We always have buyers and tenants waiting for the next hot listing to hit the market and would love to work with you in helping you show your home in its greatest light; as they say, you only get one chance to make a first impression. With over 20 skilled real estate professionals we are proudly the largest agency on the metropolitan coast and cannot wait to get behind you and help you realise your goals. Bianca is a licenced Land Agent and Auctioneer. 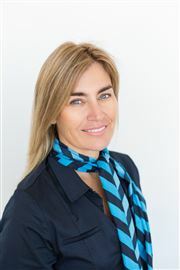 Beginning her real estate career in 1996 and to date has gathered her experience across the industries in SA, NSW and QLD. Bianca delivers a refreshingly honest level of expertise to her clients, and displays a true passion for real estate. Her style is hands on and she exhibits boundless energy into ensuring her clients receive both the highest level of communication and great results. She is an excellent communicator who continues to develop positive relationships with vendors, purchasers, government agencies and builders. A reputation for being well grounded, a strong problem-solver and a good relationship manager. 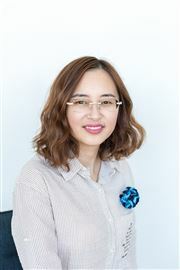 She possess excellent negotiation skills and proven commercial awareness. Bianca is competent in the negotiation of contracts and managing expectations. 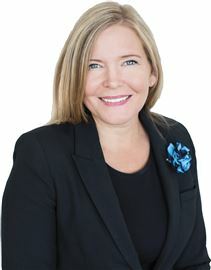 Fully knowledgeable in the area of Real Estate legislation, Bianca will ensure your experience whether it be buying or selling; to be positively outstanding. Specialties: I take the time to listen to and understand my clients; to gain an insight to their motivation and then provide strategies to seek solutions. 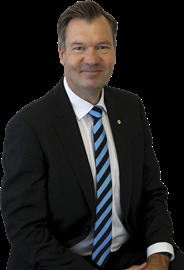 Having grown up locally, Michael Charters has always enjoyed being involved with the local community and its residents. He has achieved many great outcomes for his clients because his negotiations are underpinned by a deep belief in the lifestyle that the area offers. 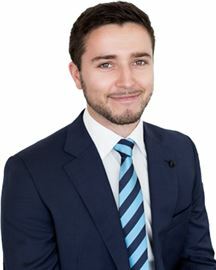 Years of experience have proven Michael as a high performance agent which means that clients can rest assured that he will draw out the best possible price every time. A great communicator, Michael's clients and friends commonly use the same words to describe him. Genuine, approachable, helpful, light-hearted and wildly effective. Michael is known for being loyal; this means that he always values his clients wishes, and their privacy. Once he is engaged as the agent of choice, he takes the delivered outcome very personally. Michael's warm and friendly nature has welcomed many happy buyers into the area and he would be more than happy to discuss showcasing your home to many of his interested local buyers today. Call Michael Charters for a friend in real estate. Michael’s naturally positive and energetic persona, combined with his systematic and methodical approach, sees him produce the best possible results for his delighted clients time and time again. “A person’s home is often their biggest asset and because of this, the sales process can be a stressful time. By breaking down the communication barriers, I’m able to prevent a lot of unnecessary sleepless nights for my clients.” Throughout a campaign, Michael provides frequent and timely feedback along with continuous support to his clients, allowing them to feel as comfortable as possible with the process, at all times. Add to this his credentials as a licensed, not to mention engaging, auctioneer, a member of the Real Estate Institute of South Australia and the Society of Auctioneers and Appraisers and there is no doubt that, whether buying or selling, you are working alongside the consummate professional. Incredible work ethic, refined marketing and negotiation skills, plus an unwavering passion for real estate – when you work with Michael, these qualities are just the tip of the iceberg you’ll experience as one of his valued clients. 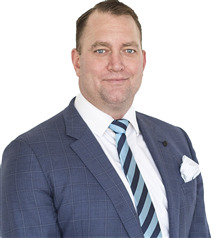 Michael Severn is a respected industry performer, a regular winner within the Harcourts Group and one of the ultimate professionals in his field. With a successful business background in banking and finance, and a wealth of experience in management, he excels in all aspects of negotiation and sales. Michael's friendly nature, his commitment to ongoing training and his consistently impressive results make him a natural choice for many of his clients. 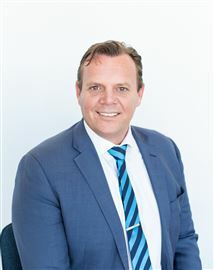 Working with the biggest sales team in Southern Metro Adelaide, Michael is always in more doors, selling more property and meeting more buyers than his competition. Specialties: Effective negotiation - years of business experience give him the edge when achieving a premium price for your property. Expert marketing - by leveraging the latest technology and the profile of Harcourts, Michael has traditional and novel ways of marketing property. Fewer days on market - clients that list with Michael experience less time on market, which means less stress and more time to move on with your goals. Michael loves empowering his clients to make positive decisions. For an authentic and reliable real estate experience make the smart call to Steve on 0417 82 44 51 Steve makes every client feel they are his sole focus. A professional, friendly and client focused sales person, Steve has over 20 years of practical experience in the real estate industry and thrives on the challenge of an ever-changing property market. His tact and ability to identify the needs of his clients quickly and accurately leads to a comfortable rapport with sellers and buyers alike, translating to a high degree of confidence and success in ensuing real estate negotiations. Living and working locally, Steve prides himself on his in depth local market knowledge, realistic pricing and well honed negotiation skills to secure successful sales. His accurate, reliable, up-to-the minute advice, combined with his commitment to providing the highest level of service, is confirmed in the constant repeat business and referrals from an impressive, loyal and established client base. Add to this a business degree and reputation forgoing the extra mile, and you can be sure that Steve is the ideal agent to handle all your property requirements. As Principal of Harcourts Brighton, Steve heads up a highly skilled and enthusiastic team of happy, loyal, young sales partners and support staff, who will work closely with you to achieve your goals. Best Value Buying! Be Quick! Top Location & So Affordable! A home to be proud of! Hello. Let's call it love. Stylish , Spacious and Secure! A Gorgeous Home with Style! You will love the size! Looks Good, and it is! "That place to call home." The beach is at your doorstep!